A comfortable chair with a shield shaped seat. 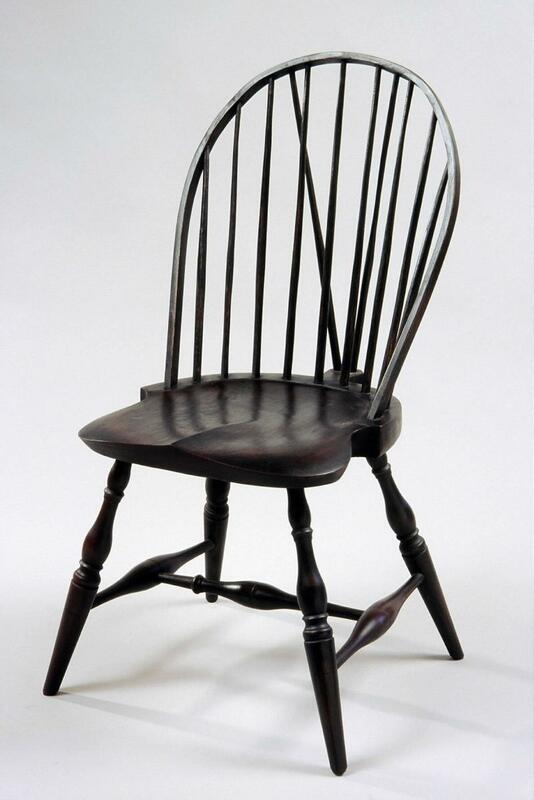 braced tail-piece support with spindles. seat. It is the most recognizable of all Windsors. long. Looks great in an entry way or on a porch. Special sizes and height's can also be made. 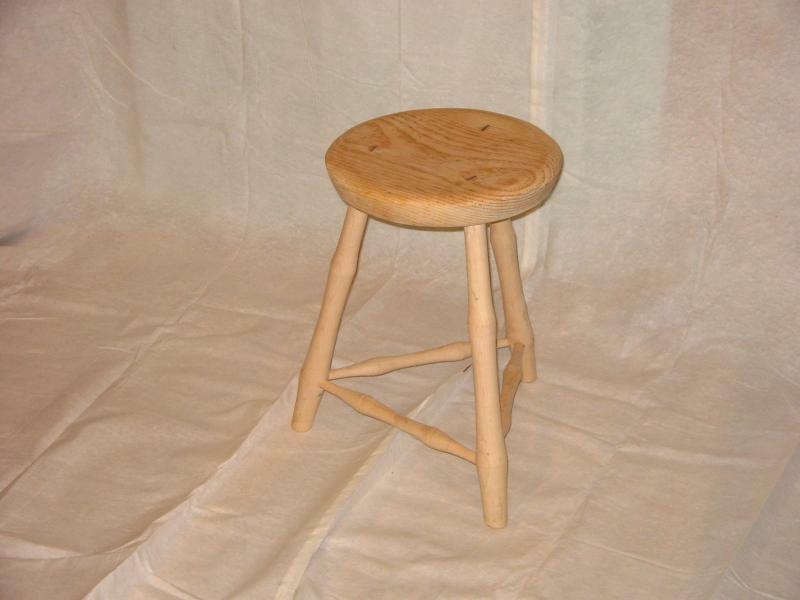 We make all our Stools with just 3 legs and side stretchers. 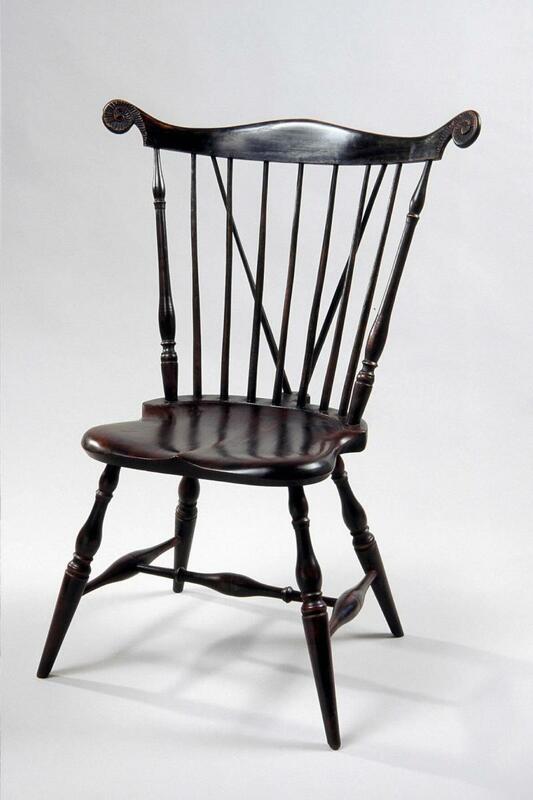 Above, the Stool is shown unpainted to show no nails or screws are used to build any of our Windsor chairs or Stools. They are morticed, pinned and wedged the same way our forefathers made them 275 years ago starting right from a "raw" or "green-tree". Shop in that we make them in 3 different sizes. 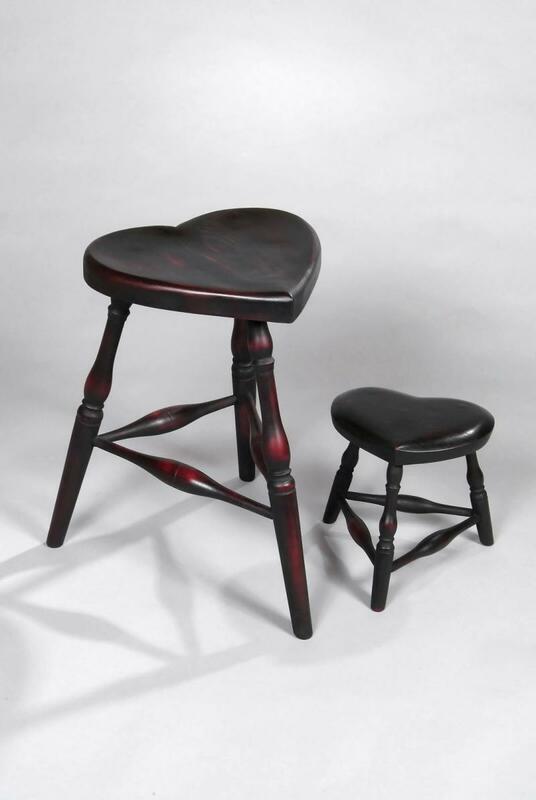 The 24" tall bar stool has a 12" round top. 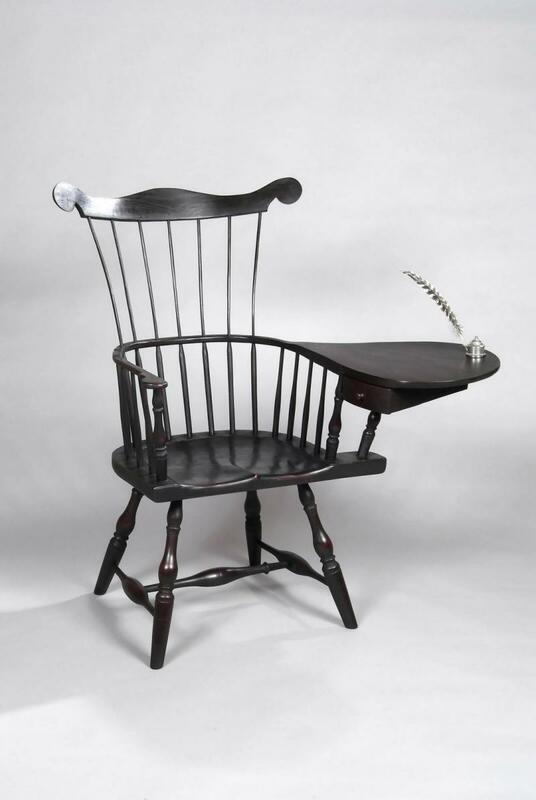 We can make either left or right handed style Connecticut Writing Arm Chairs and can include a sliding drawer mounted under the seat and / or the paddle area. This is a very roomy chair. Drawer under the seat or paddle can be added for an additional cost. Ink well and feasther shown as decoration only. members ages 3 and up. and very strong. Seats two people comfortably. 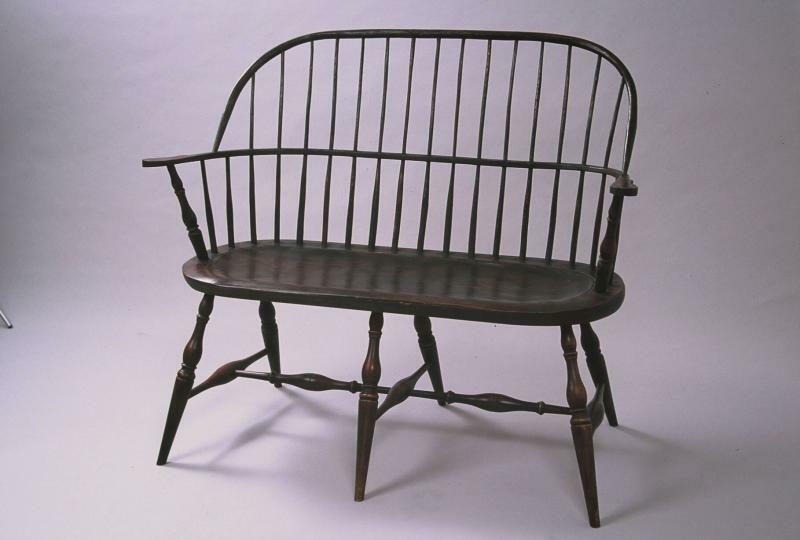 with traditional rocker rails and a head rest comb. dining. 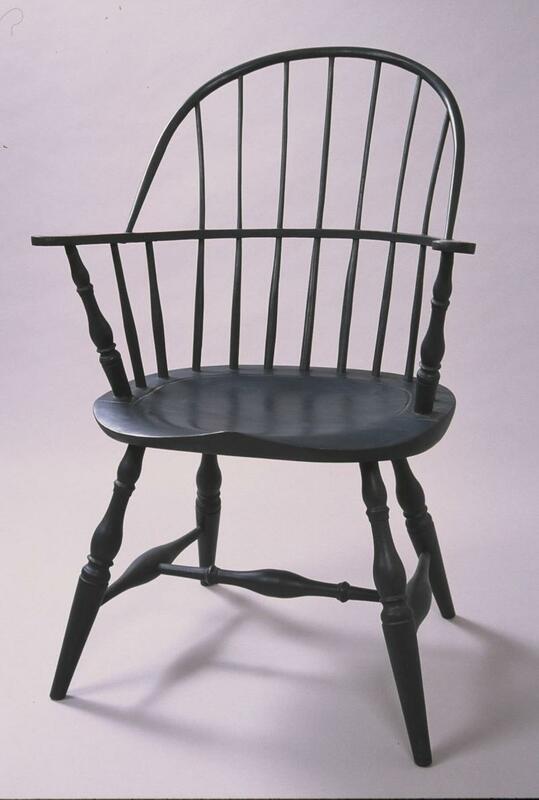 The seat is of the shield shape style.Shown with an addition of carved crest ears and tail-piece support with spindles. for relaxing after a hard day. 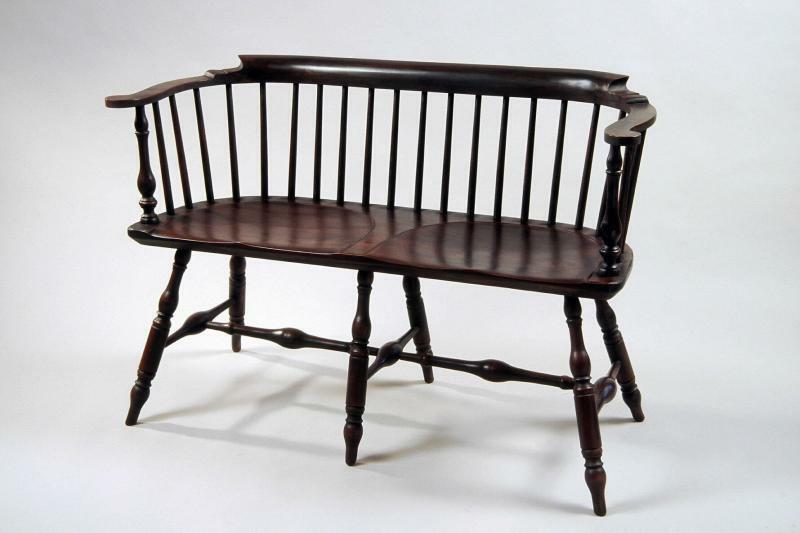 seat are hand carved from poplar. 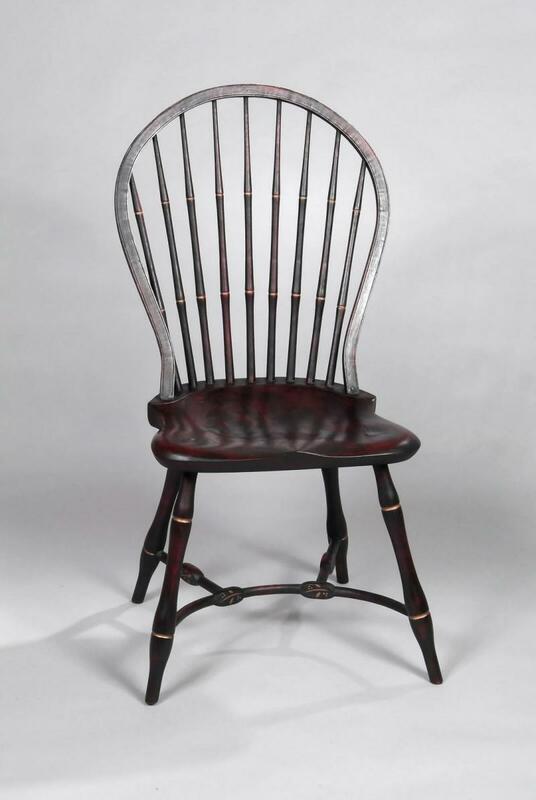 This nine spindled Balloon Back is attributed to partners William Seaver and James Frost, who worked in Boston from 1798 to 1807. 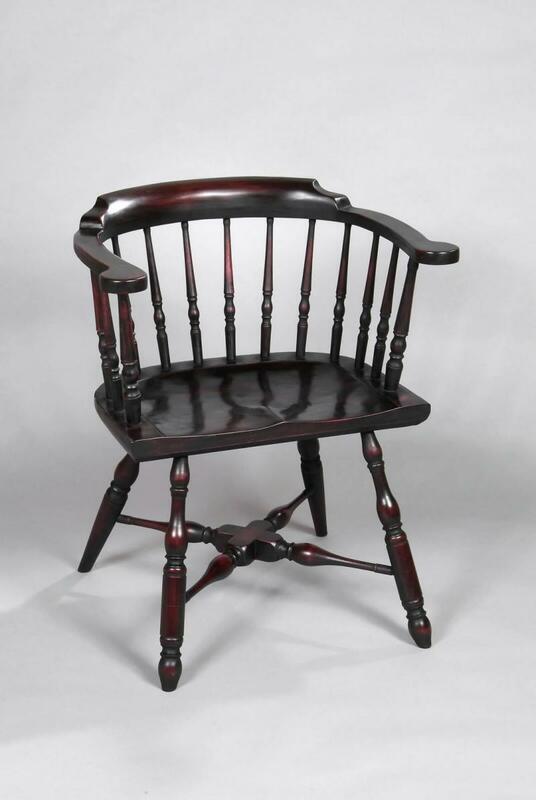 The medallion like panels on the stretchers were a new fashioned Windsor style. The bamboo grooves on the back spindles form a pleasing arc and echo some what the curve of the bow and front stretcher. 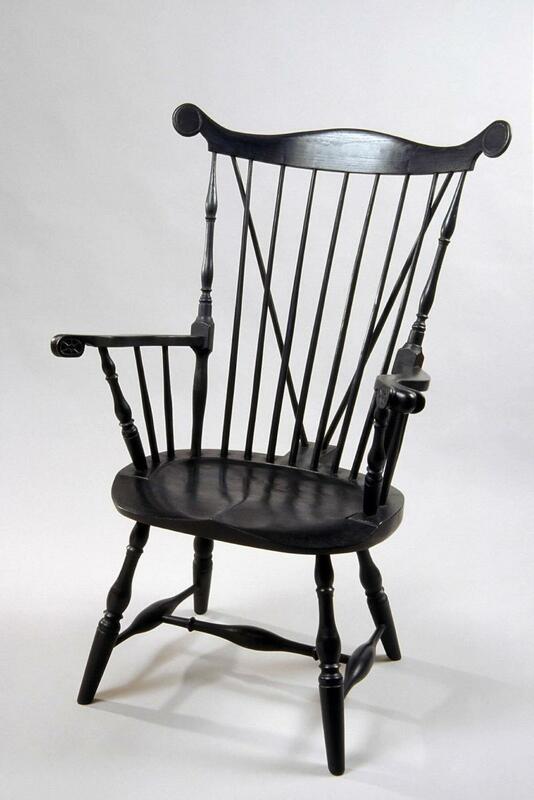 All of our Windsor chair's are started out from splitting of a "raw" or "Green" log and chopped, shaved and shaped with antique and reproduction hand tools. Modern tools are used at a bare minimum and no nails or screws are used in assembly of our Windsor chairs. 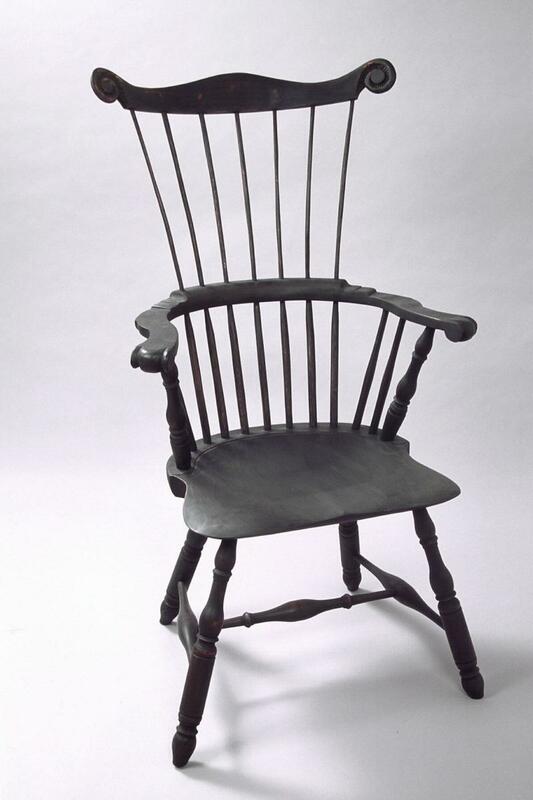 Additional cost of $75.00 for each item added to a chair such as ; "Rocker Rails","Drawer's", "Combs", "Carved Crest Ears", "Carved Hands and/or Knuckles" and "Tail-Supports with Spindles". There is no charge for any burning into the seat bottom, any personalization requested up to 25 words. Custom orders for chairs made to Bar Stool height, 30" maximun height, add 30% per chair cost. Colors other than what we stock, add an additional $20.00 per chair order. We accept cash, personal checks or money orders. We also accept credit cards using the "PayPal" and the "Square" devise for a payment. Personal checks have to clear before possession or delivery of an order can be made. NO EXCEPTIONS ! order today and have it finished in a timely manor. 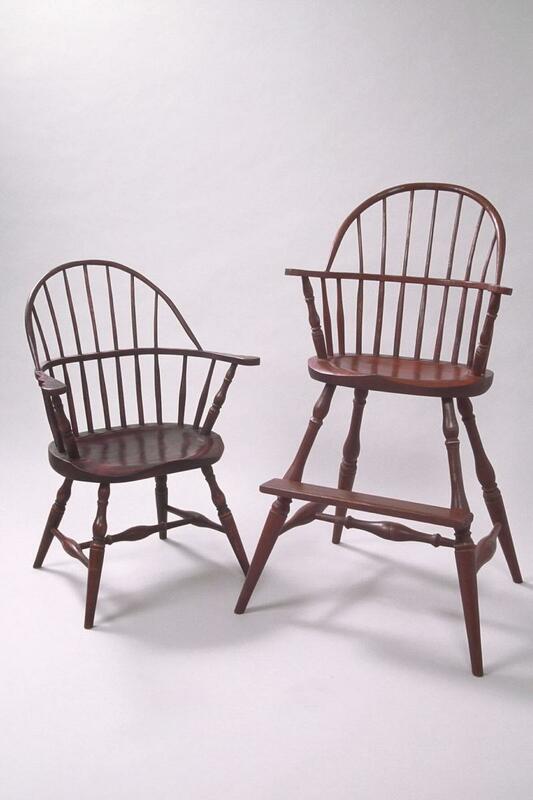 We will find a shipper that gives the best rates, or you can have a shipper of your choice, crate and deliver your Windsor chairs. 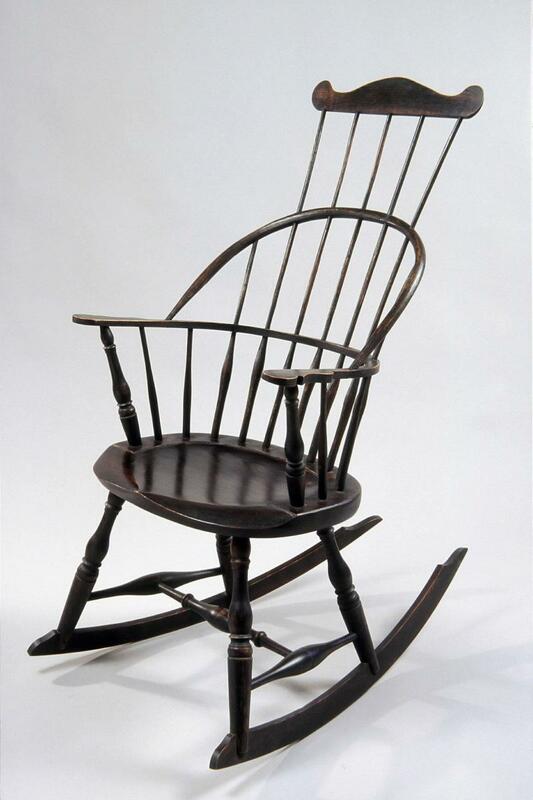 If you decide to pick up your Windsor chair(s), it is your responsibility to insure that no damage is caused during transit. We DO NOT recommend picking up your chair(s) and placing them in the back of an open pick up truck bed or trailer with no coverage for protection against the eliments such as wind, rain and direct sunlight. Nor stacking the chair(s) against one another causing them to rub or wear with out blankets to seperate them during transit. 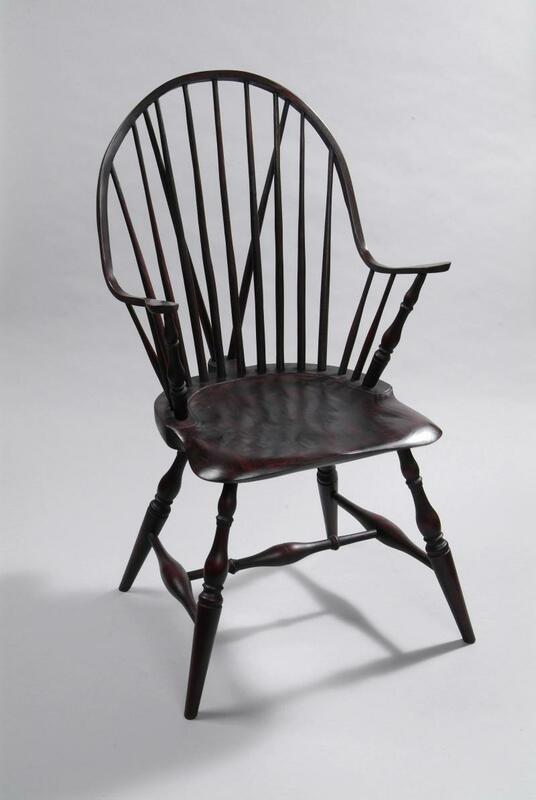 Our chair warranty is only good for failure in workmanship or material failure due to normal use and wear. 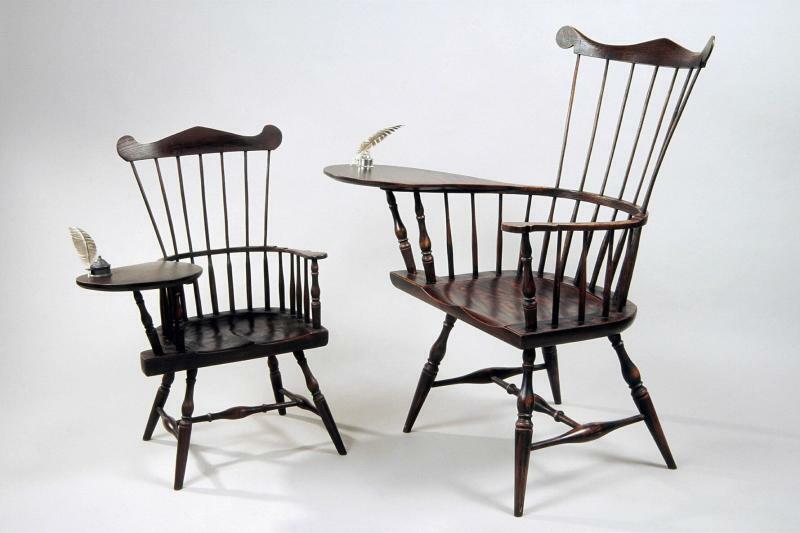 Even though Windsor chairs were first used as outdoor furniture, it is not recommended to leave them outside in the elements such as direct sun or bad weather. If any of our chairs become loose or break due to materials failure, we will, at our descretion, repair or replace your chair at no charge to you for the first year. Certain restrictions apply. For returning any chair(s) the Shipping & Handling is paid by the customer.